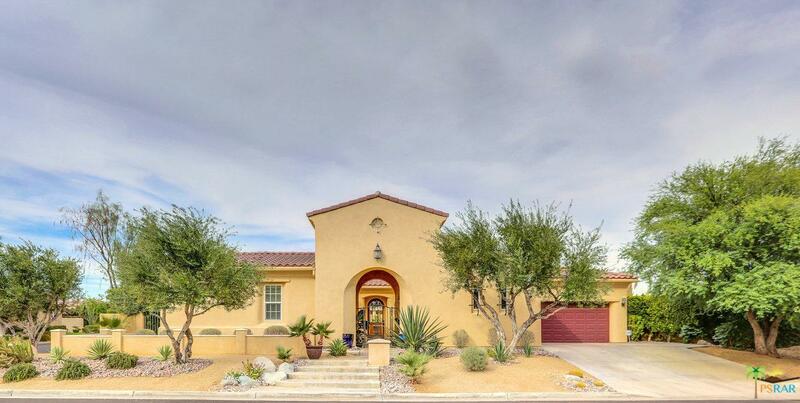 Beautiful desert oasis in gated St Augustine. Situated on a corner lot with 3 car garage, this 3650 SF home comes with everything you need for entertaining family & friends! 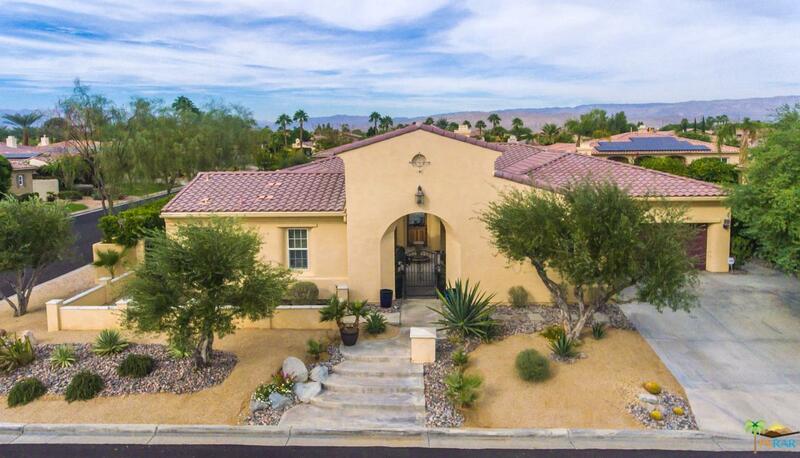 Private courtyard and water feature welcome you to the formal foyer and into the living room with fireplace and French doors leading to a private resort-like yard with pool & spa. 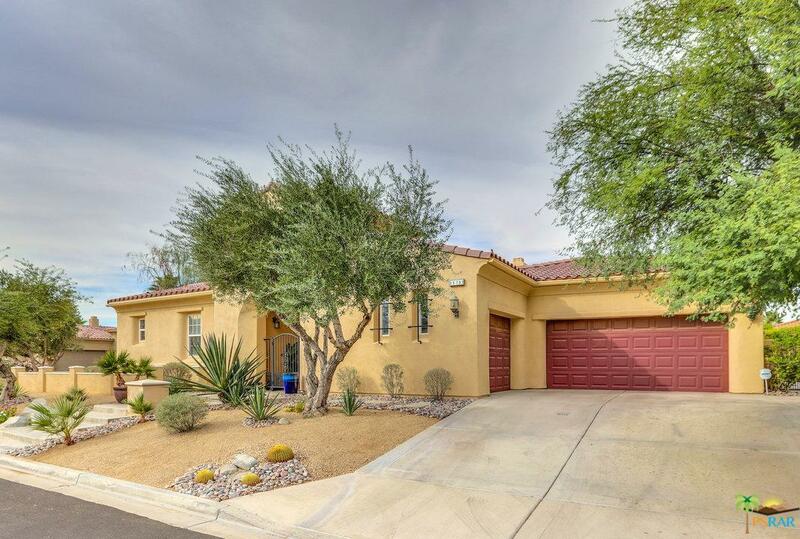 Huge kitchen with granite countertops, center island and walk-in pantry blends into family room with fireplace, a wall of windows and pool access. Lavish master suite has French doors to the pool, dual sinks, bath with soaking tub, customized closet and separate shower. 2 additional bedrooms share a bath and both have outdoor access. 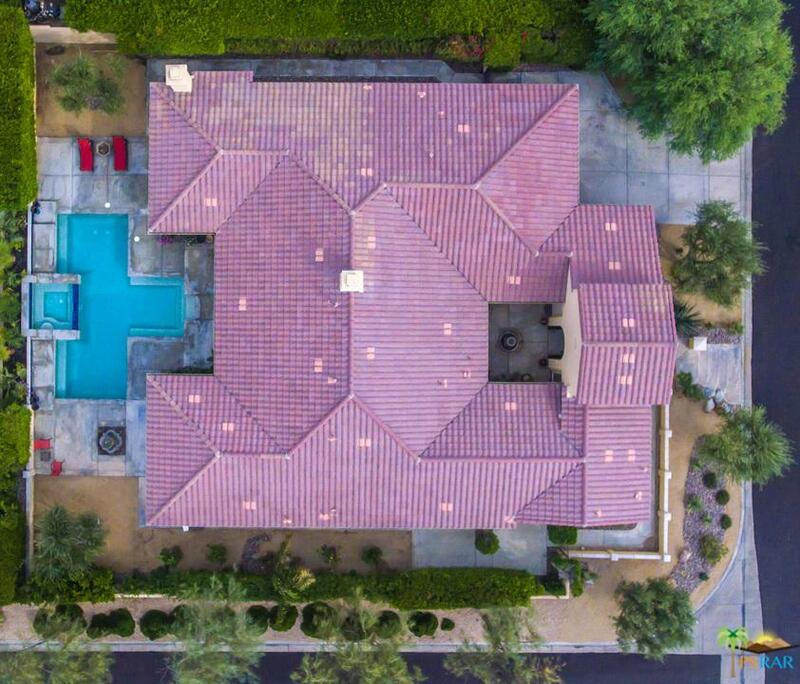 Extended covered patio w misting system offers up several seating vignettes and overlooks the customized saline pool/spa with views to the west! Dedicated office plus formal dining room, butler's pantry and laundry room, too. Crown molding throughout. Sold by Nonmember Agentdefault BRE#01244607 of Nonmember Officedefault. Listing provided courtesy of Charlie Grigg DRE#01244607 of Bennion Deville Homes.